Volkswagen Touran Performance, Engine, Ride, Handling | What Car? The 1.6 TDI 115 diesel is a deservedly popular choice – it may not be breathtakingly quick, but it’s powerful enough to cope with any situation you can throw at it. If you do want a bit more oomph, though, look to the 2.0 TDI 150 diesel, which offers stronger acceleration – particularly when you rev it beyond 3000rpm. And if you want your Touran to pack even more punch, there’s a 2.0 TDI 190 which is the quickest in the lineup. The 1.5 TSI 150 turbocharged petrol engine is only available on pricier trim levels. That's a shame because it makes a good alternative to diesel for those who don't cover a huge annual mileage, with more than enough pace for open-road driving. It does, though, feel a bit slow off the mark – the diesels pull better from low revs. If you want a petrol engine on a less expensive trim level, your only option is a 1.0 TSI 115. Based on our experience of this engine in other VW models, we suspect it might struggle in the relatively weighty Touran. All engines come with a six-speed manual gearbox as standard, with a seven-speed automatic available as an optional on all but the 1.0 TSI. 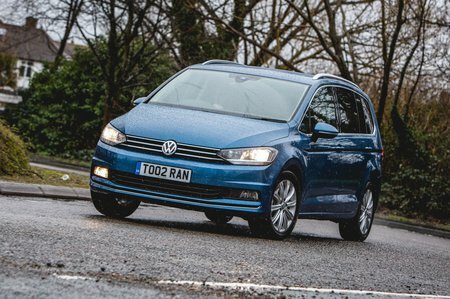 The Touran rides with fluidity over most surfaces, softening all but the worst bumps and only fidgeting a little along scruffy town roads. It rides well enough on even the larger 18in wheels of the R-line trim, although we recommend sticking with the smaller 16in alloys fitted to S, SE and SE Family for the smoothest progress. You can add adaptive dampers (DCC on the options list in VW-speak), but they're rather pricey and you’re better off saving your money. 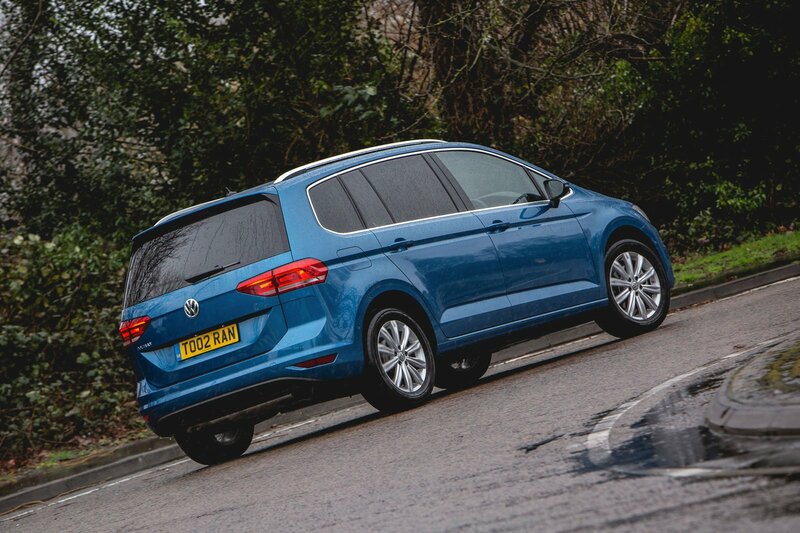 We’d also avoid the optional sports suspension because ride comfort is almost certain to suffer – and let's face it, comfort is the priority in a seven-seat MPV. It’s not a particularly fun car to drive, but it feels composed on the motorway and is easy to steer around town. It actually doesn’t feel like a big car on the road, either – that's not something you can say of its more cumbersome rivals, such as the Citroen Grand C4 Spacetourer and Ford Galaxy. The 1.6 TDI isn't the quietest diesel engine in the world. It emits a gritty-sounding dirge that creeps into the interior when you’re accelerating, and this only relents when you're cruising. The 2.0 TDI 150 diesel is much smoother and quieter throughout. Meanwhile, the 1.5 TSI 150 petrol engine is reasonably muted unless you rev it hard. 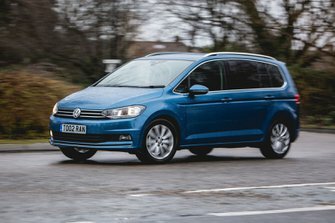 The Touran doesn’t suffer undue wind or road noise and, indeed, in our noise tests, it proved to be quieter than the Citroen Grand C4 Spacetourer at both 30mph and 70mph. The clutch is light and precise, as is the manual gearshift, while the optional automatic (DSG) gearbox is only jerky at very low speeds, such as when you're parking.